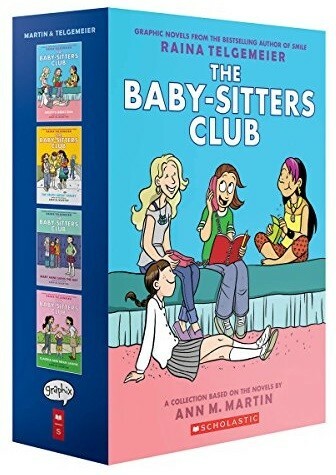 All four full-color editions of The Baby-Sitters Club graphic novels -- Kristy's Great Idea, The Truth About Stacey, Mary Anne Saves The Day, and Claudia and Mean Janine -- are now available in this great box set from Graphix. Kristy, Mary Anne, Claudia, Stacey, and Dawn are The Baby-sitters Club! Whatever comes up -- cranky toddlers, huge dogs, scary neighbors, prank calls -- you can count on them to save the day.